2 oz. Cylinder Applicator Spray Bottle with Finger Tip Mist Sprayer | U.S. 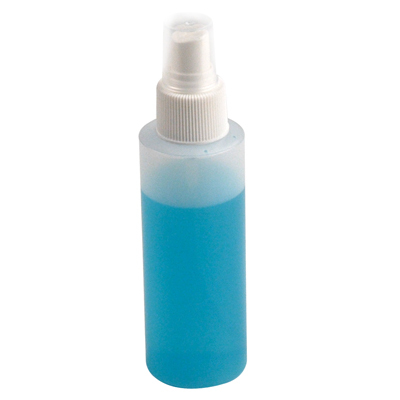 Plastic Corp.
Natural HDPE bottle with polypropylene finger tip mister. Clear over cap is included. Bottles have a 24/410 neck. No scale. Does not meet FDA requirements. Output is .25cc per stroke.